Long climatological time series provide important information on climate back to the pre-industrial era. However, all meteorological time series are subject to several types of uncertainties. Systematic or random errors in the measurement instruments make up only part of the total uncertainty. Changes in instrumentation, measurement practices, reporting, location, and station environments also contribute to the total uncertainty and inevitably lead to heterogeneous data sets. In order to assess long-term climate trends reliably, systematic errors must be corrected to make different parts of a series comparable, which is termed homogenization. In recent years, climate extremes have come into focus, and consequently for analyzing trends in extreme events homogeneous meteorological records on a sub-daily scale are required. However, homogenization methods for sub-daily data are only now being developed. Most current approaches rely on statistical methods to correct inhomogeneities, but extreme events may be affected differently by errors than the bulk of the data and hence other approaches may be more suitable. Within the project we further develop a new correction method for sub-daily temperature time series that relies, at least partly, on a very simple physical model of the underlying error. 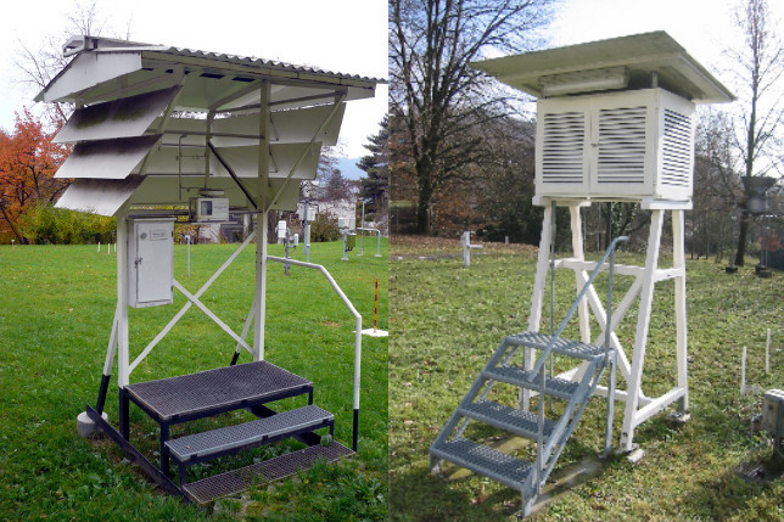 The method has been developed for the case of the change of the shelter from a Wild screen to a Stevenson screen, which is a frequent reason for inhomogeneities in Central and Eastern European series. As the method was developed for one specific case (Basel, Switzerland), it first needs to be demonstrated that the approach is applicable to other stations. We apply the method to other Swiss series, adapt and simplify it, and compare it with other, statistics-based approaches in order to prepare for a future, more widespread application of the approach. Finally, the change from conventional observations in a Stevenson screen to automated stations, a network-wide change that took place in the late 1970s, will be analysed based on a 30-yr series of parallel measurements from Basel using the same basic approach.